You can stop the quest to find the holy grail of padfolios, because we've got it right here! 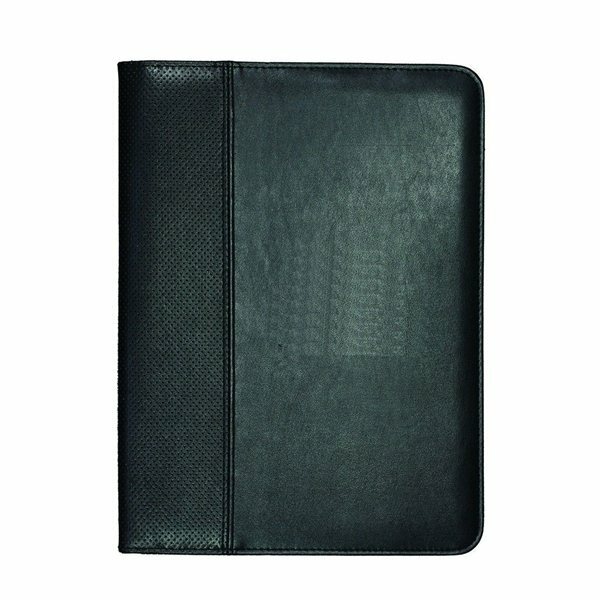 This PVC-made, standard size perforated item measures 9 5/8" x 12 7/8 and looks like leather. 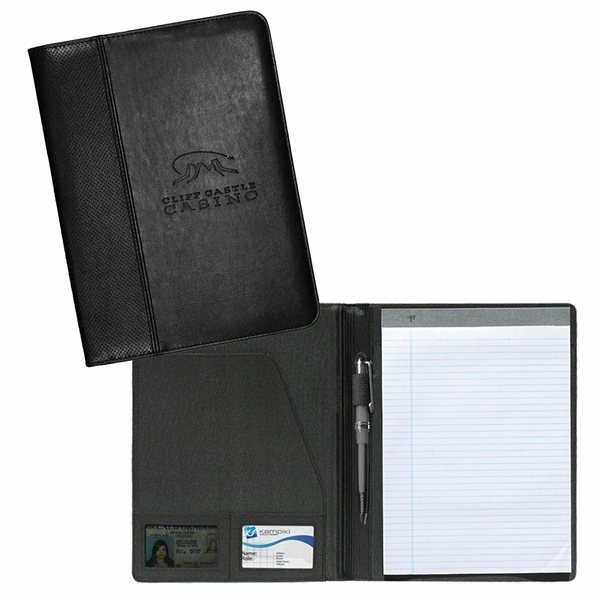 Features include an inside flap pocket, elastic pen loop (pen not included), 2 business card pockets and a 40 sheet, 8 1/2" x 11" lined pad of paper. Great for clients, office staff and executives. Rush Service:May only be used on regular web quantity orders and one color imprints. Excellent product, very professional looking and very well made. Individuals who received one felt special. the finished product was very impressive. The children were delighted and the artwork was right on target. Excellent product for that cost. The merchandise is top quality and also the imprinting is ideal! Great item, doesn't leak. Proud of my purchase. they worked well for the school fundraiser. Thank you for your follow up.